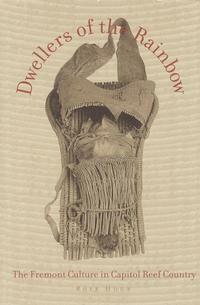 Dwellers of the Rainbow, by Rose Houk, is a popular book that describes the Fremont Culture. Working for the Peabody Museum, Noel Morss first defined the Fremont while conducting archeological work along the Fremont River in 1931. Since then many researchers have sought to solve the enigma of the Fremont, considered by some to be a unique culture, or backward cousins of the Ancestral Puebloans (Anasazi) by others. Rose Houk briefly describes the history behind the development of our knowledge of the Fremont, and goes on to describe their material culture. Book has been edited, designed, and reprinted in 2005.